You think you’ve experienced outlet shopping? Think again. Kildare Village, one of nine Chic Outlet Shopping© Villages in Europe, is in the heart of Ireland’s horse country just an hour by road from Dublin city centre. Take the opportunity to experience world-class shopping at Ireland’s only luxury outlet shopping destination as part of a photography-themed odyssey encompassing craftsmanship, celebrity and a fascinating collection of 3D travel photography and footage from the last century. On their visit to Kildare Village, TBEX Dublin delegates will have a once-in-a-lifetime opportunity to hear from one of the great portrait photographers of the last century, Dublin-born and County Kildare-raised John Minihan. Minihan was the youngest staff photographer at the London Evening Standard when he joined the paper at the age of 21. His candid, always black and white portraits of the great and the good from the worlds of theatre, literature, film and celebrity include a 19-year-old Diana Spencer in the garden of the nursery where she worked, her legs in silhouette through her skirt. 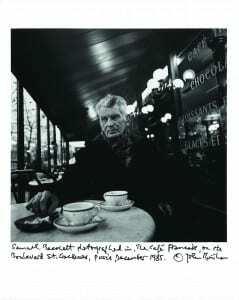 Minihan’s intimate shot of Samuel Beckett at a Paris café in 1995 has been described as the photograph of the twentieth century. Hear John talk about his philosophy, his exclusive relationship with film and the stories behind capturing of the icons of our age. A Touch of Chic, the Kildare Village autumn campaign, will see a host of special events in the Village celebrating craftsmanship and, in particular, wool, including master classes and demonstrations from experts among the brands at the Village. The Village’s street furniture will be sporting colourful woolly winter wraps thanks to an attack of yarn-bombing. 10:30 am approx. 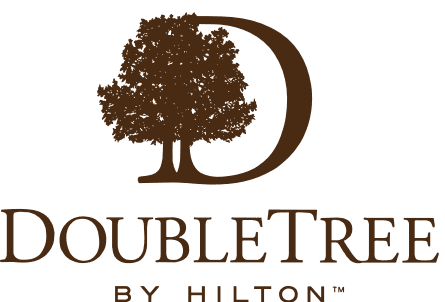 – Arrive Kildare Village Chic Outlet Shopping. Head to the VIP Lounge for the portrait master class with John Minihan and pick up your goody bag packed with hand-picked, useful items from the Village boutiques. 11:30 am approx. – Master class and photocall over, help yourself to a coffee (or a glass of Champagne) and go explore the Village armed with your VIP Card for extra savings. Have your cameras at the ready to capture and share the ‘Touch of Chic’ street art and guerrilla knitting, and your notebook for the content ideas generated by activities in the boutiques. 1:00 pm – Re-group for lunch in L’Officina, the Village’s Italian trattoria, part of the Dunne & Crescenzi group. 2:00 pm – Depart the Village for a visit to The Museum of Style Icons at Newbridge Silverware. Your host will guide you through the collection of artefacts relating to Stars of the Silver Screen and many modern day artists – including Audrey Hepburn, Marilyn Monroe, Princess Grace, Princess Diana, Elizabeth Taylor, Michael Jackson, Michael Flatley, the Beatles and many more. 3:30 pm – Coach departs for Russborough House in Blessington. Russborough House is steeped in history. This beautiful Palladian mansion overlooking the Wicklow hills is almost majestic in its setting. But we will take the delegates to the basement to view the 3D collection of Sir Alfred’s world travels and encounters with some famous names from Jackie Kennedy and Coco Channel to name but a few. If you’re in Ireland to see castles, allow us to introduce you to the Dublin North Coast and Castle Tour. Before we get to the castle, though, we’ve got sights to see. Our journey begins as we sweep out from Dublin’s city centre along the Coast Road. 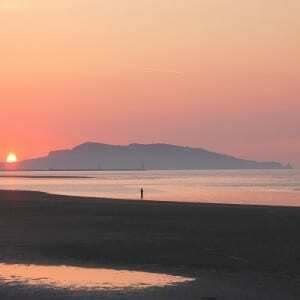 The North Dublin coast kisses the Irish Sea as curiosities like the Bull Island Bird Sanctuary and the perfect promenade of Dollymount Strand pop into view. Crossing the handsome bumps of Howth Head it’s time for a visual treat. Dublin Bay stretches itself in a grand sweep at the feet of Dublin and Wicklow’s russet coloured mountains. Enjoy with a lung-full of sea air and the realisation that Dublin really does have it all. 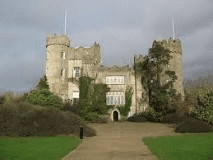 Next stop: the castle colossus that is Malahide Castle (admission included). This perfect pile was a family home for an incredible 800 years so you can imagine the history it has collected. Chunky turrets fit for Rapunzel and an inviting ivy-covered facade put this castle right into the Disney bracket, while the walled gardens and 260 acres of parkland make the estate surrounding it a joy to explore. A stop for light refreshment here is a perfect photo op. Should hunger hit, slide into the Avoca Cafe for a lunch of rustic, country style cooking. Fresh salads, chunky soups and fresh breads still steaming from the oven are all on the menu. By the time you get to the pastry section, you’ll be forgiven for drooling. The Avoca Store is a dash of sartorial style with designs from Ireland’s top designers. Where would you find a Victorian seaside resort, grand Renaissance gardens and a National Park spanning an entire mountain range? Oh, and all in a matter of hours. 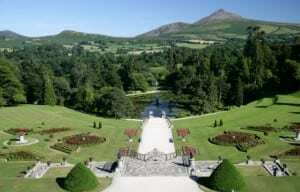 The South Coast & Powerscourt Gardens tour, that’s where. Picture it: sitting pretty on the top deck of your bus and as the city recedes behind you, endless curiosities pop into view. Sandymount Strand where Leopold Bloom first kissed Molly in James Joyce’s Ulysses? It’s on your left. Up ahead is Dún Laoghaire where flags flap on yachts, restaurants spill towards the sea and the promenade harks back to days of Victorian elegance. 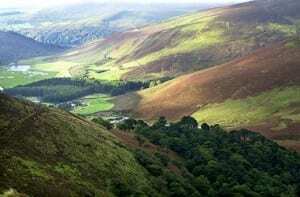 After a quick stop at Bray Promenade on you climb into Wicklow’s mountains. After falling in love with the picture perfect village of Enniskerry, a new romance begins: Powerscourt House and Gardens Nestled in a verdant valley replete with Renaissance grandeur, secret gardens and a pet cemetery, this estate is a stand-out stunner. If you time it right, you might happen upon the Wicklow Garden Conference as part of The Gathering Ireland Where better to enjoy flora and fauna than the Garden of Ireland? Newgrange is one of the largest and most important pre-historic megalithic sites in Europe and the name given to an extensive and hugely important archaeological landscape. 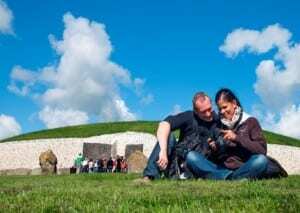 The site is dominated by three large passage tombs – Newgrange, Knowth and Dowth – which were declared a World Heritage Site by UNESCO in 1993 and is actually older than Stonehenge in England or the Pyramids of Egypt. Lunch at award-winning Ghan House. . . www.ghanhouse.com Voted one of the Best 100 Places to Stay in Ireland’ 1998 to 2012 in John & Sally McKenna’s Bridgestone Guide. Carlingford is a magical village, full of character and one of the best preserved medieval villages in Ireland. Raided by the Vikings in the 8th & 9th Centuries, historical records show that the Vikings occupied Carlingford Lough. 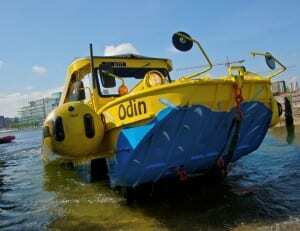 They may have used the sheltered harbour as a temporary base, though, this is unclear as no factual evidence, apart from the name Carlingford has been recorded. With its history and narrow, medieval streets, lanes that lead to the harbour, majestic Slieve Foye mountain and the famous mountains of Mourne across the lough all combine to make Carlingford unique in Ireland. 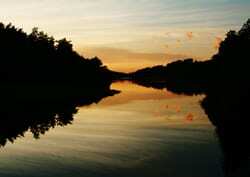 Today the inherent natural beauty can equally be appreciated on land or sea. Oysters have thrived in Carlingford Lough for centuries and the Frissiet family is passionate about oysters. The unique sweet taste and high meat content of the Carlingford Oyster is one of nature’s real treasures. The Carlingford oyster company supplies some of the top restaurants throughout Ireland and the UK. 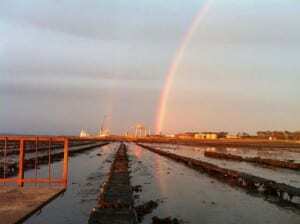 You will get a chance to hear all about oyster farming from the experts and to sample some of the famous oysters. 4:00 pm – A Tour of Carlingford Village and round-off the day in P.J.’s local pub– a must see pub in the village!! 5:30 pm – Say goodbye to Carlingford for return trip to Dublin. Maximum Number: These are 50 NIGHTLY passes on offer so whoever signs up can go to ANY of the 7 venues on Saturday evening, 5th October 2013. Hard Working Class Heroes is an Irish music festival for emerging bands. 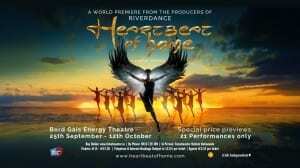 It has taken place in Dublin on an annual basis in and around September of each year since 2003. Organised by First Music Contact and Wrong Tape Speed, The Irish Times has referred to it as “an essential must-see/do on Ireland’s music calendar”. ]HWCH is a showcase festival with 100 bands over 3 days is 7 venues in Dublin City Centre Oct 3rd 4th 5th. These are 50 NIGHTLY passes on offer so whoever signs up can go to ANY of the 7 venues on Saturday evening, 5th October 2013. Taking place from Thursday 3rd to Saturday 5th of October the annual festival has once again brought together the best indie bands and artists on the scene, after sorting through a mountain of applications. Musicians from all over Ireland applied via FMC’s (First Music Contact) website Breaking Tunes for the opportunity to play the festival. As always, the judging panel for applications was made up of Irish and international music industry professionals, who’s advice can be invaluable for up and coming bands. Hard Working Class Heroes is Ireland’s leading music showcase and convention. 2013 will see the addition of HWCH Digital which will endeavor to deliver to those in the creative tech startup space the support and discovery opportunity we have delivered to bands over the past ten years. 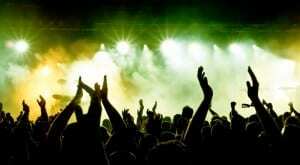 Discover the best 100 bands and the top 25 global creative techstartup with one ticket. 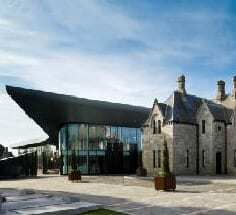 Convention panels and sessions also included in the ticket will take place in NDRC building in the Digital Hub. Please visit www.hwch.net for further details of bands and venues. Please Note: Recommended clothing: Casual clothes, loose trousers and rain jacket. Rock Climbing is one of the most exciting sports on offer. It is also one of the safest. With your qualified rock climbing instructor throughout the day you will learn all the basics for successful climbing. You will learn all about the equipment used, how to use them correctly, climbing techniques and we also try and teach everyone how to set up systems safely. Visitors to Dublin can now enjoy our city’s sights and history and also have their daily dose of exercise whatever their fitness level. 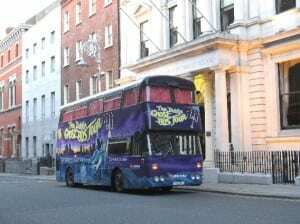 This is a unique sightseeing experience that takes the visitor on a jog through the city’s finest squares, stopping at its liveliest quarters, Ireland’s centre of political activity and where Dublin’s music and nightlife comes alive. 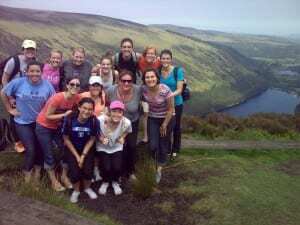 We will bring you to Dublin’s most iconic landmarks like St. Patrick’s Cathedral, Trinity College and more. 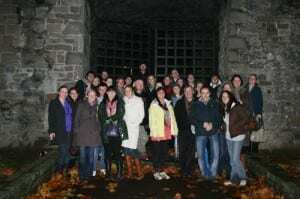 The pace of each tour group is adapted to suit the participants, suffice to say that we are never out to break records! 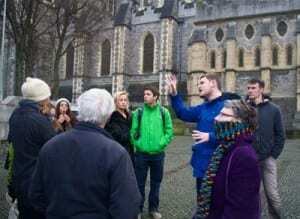 The Tour includes: St Patrick’s Cathedral, Trinity College, Dublin Castle, Dubh Linn Gardens, St. Valentine’s relic, Government Buildings, Oscar Wilde’s Home, Hoggen Green, Old Parliament, Dublin’s medieval and Viking heritage and more. 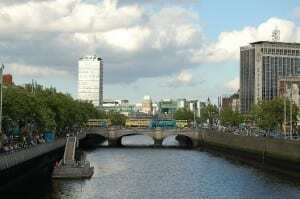 You can learn more about our Sight Jogging Dublin tours by visiting www.sightjoggingdublin.com. 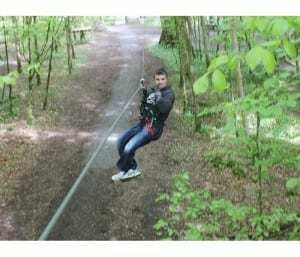 Join us for a unique, exciting and fun packed experience on our amazing treetop adventure course at Zipit Tibradden Wood. Screams of excitement ring out from high in the treetops as people from all ages experience the daring adventures on offer. Like Tarzan deep in the jungle they can hurtle down ziplines, swing into cargo nets, balance on a rope bridge and jump from platforms up to 20m above the forest floor. From beginners to adrenaline junkies, we show you how to make your day a fun experience – push yourself that little bit further with guidance and encouragement from our instructors, knowing you are secure in your safety harness. 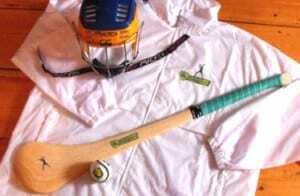 We run our Experience Gaelic Games Dublin sessions at a GAA Club called “Na Fianna” which is located about ten minutes journey from the city centre. We start sessions with an introduction to the games. During this we tell you some history of the games, their place and relevance to life in Ireland and how the games are structured and played. We show lots of video clips and generally have a chat with participants, getting to know them and getting them involved. We have water available throughout the session. Plus tea and coffee. All the group need are flat shoes (maybe tracksuit) and a willingness to have a bit of fun. There are dressing rooms/showers on site, so if you wish you can avail of these. All our trainers are great, they are passionate about the games and they really interact with visitors. Depending on the group we then play mini-matches – not too serious and all in good fun. Leaving the City Centre the tour heads out to north side of Dublin Bay to the historical village of Howth and up to its highest point. Known as Howth Summit; from here you can view and photograph the magical views of Dublin bay and catch the early morning sunrise over the Irish Sea. We will then make our way back down the hill to Howth Harbour and take a walk along its pier to the lighthouse, from this point you will have fantastic opportunities to photograph the harbour, its fishing fleet and pleasure craft and have a wonderful view of the small island known as Irelands eye. Comfortable clothing and walking shoes are a must. 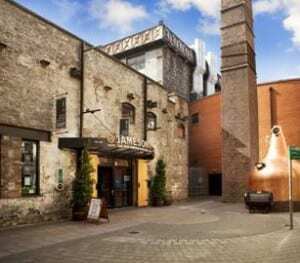 A-five minute walk from Temple Bar and located en route from Christ Church Cathedral to the Guinness Brewery. 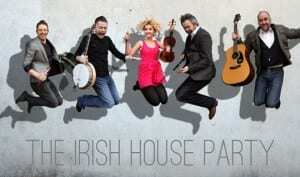 The Irish House Party is a truly unique experience in Dublin. The show was something of a revolt by Irish Musicians against the cheesy and the twee. It is Irish music and dancing at its very best, performed by All Ireland Champion musicians, dancers and entertaining hosts. First enjoy a delicious three-course dinner in the Irish House Pub and Restaurant which offers home style cooking with big flavoured traditional dishes. After this, your host will bring you into the intimate theatre setting where you can sit back and enjoy The Irish House Party show. Explore Dublin’s most famous river, take in some of the city’s most iconic landmarks and see the city from a different angle! City Kayaking operates from its base at the Jeanie Johnston Tall Ship on the River Liffey right in the heart of Dublin City. We run fantastic City River Trips on kayaks, launching from our base and paddling up through the city under some of Dublin’s most famous bridges and past well known landmarks. Whether you’re a local or a tourist to Dublin you’re bound to enjoy these unique and exclusive trips. City Kayaking run Kayak Lessons for beginners and intermediate level paddlers in the heart of Dublin City on the River Liffey. With the most accessible location available for Kayak Lessons and some of the best Kayaking Instructors around, City Kayaking is the perfect solution for those wanting to learn how to kayak, or for paddlers interested in improving their skills and techniques. City Kayaking and our Instructors aim to provide you with top quality personalised tuition in an exceptional city centre location at the best value possible! While most of Dublin’s grisly past has been left behind to history, not every character has decided to pass over into the next world…….. The Emerald Isle is known as being one of the most haunted countries on the planet with many of the world’s most famous supernatural characters and stories finding their roots in the tales told across the centuries by our ancestors around Irish peat fires on dark, dank nights. Each wave of human culture from the Celts to the Protestant ascendancy has left a mark when it comes to the haunted history of this city. It is this diversity which makes Dublin’s other-worldly folklore so fascinating. Let us lead you through the eerie, cobblestoned streets, hearing tales from the underbelly of this city, such as the burning of 18th century madam Darkey “The Witch” Kelly, the tragic tale of The Green Lady of St. Audoen’s and how Dublin’s “Hell” got its name. As we walk, learn of the period in which The Dolocher stalked our streets, and hear tales of the mysterious 18th century Hellfire Club and its dark origins, until we reach the Gates of Hell… and enter – beware, we have a key! This unique tour covers the more macabre and gruesome aspects of Dublin’s history as well as tales of the supernatural which have frightened Dubliners for centuries. Hidden Dublin Walks are pleased to be the only haunted tour in Dublin associated with PSI Ireland (PARANORMAL STUDY AND INVESTIGATION IRELAND). There’s something about being able to look at a city from a totally new perspective – a few miles out to sea. 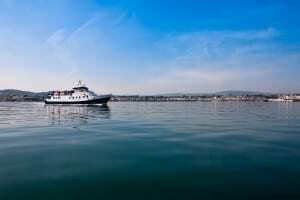 Dublin Bay Cruises sail between Dun Laoghaire and Howth up to four times a day from March to October. Your trip brings you not only around the beautiful vista of Dublin Bay, but it also helps you to travel through time and to understand how and why the modern city of Dublin developed to become the capital city of Ireland. Joyce Martello Tower – Dalkey Island – north across the bay towards Howth head – Bailey Lighthouse-Irelands Eye-Howth Harbour. Irelands eye- Bailey Lighthouse-south across the bay towards Dalkey Island-Joyce Martello Tower-Dun Laoghaire Harbour. Meeting point: Due to the bespoke nature of the tour, the meeting point for the tour is confirmed closer to the time. Phone number for queries : 00353 (0) 858607674. Tour start point to be advised. Incorporating elements of the city which have become staples of le cool content such as pop-ups, new collectives and initiatives, we want to share these ‘of the moment’ living culture experiences. 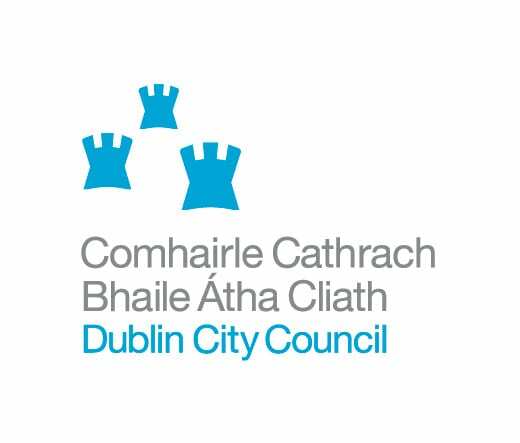 This continually evolving two-hour tour will reflect the now and engage with people behind initiatives which are reshaping Dublin city in vibrant and meaningful ways. Find out about DIY culture, street art, fashion, emerging music and literature, artists, hidden historical gems and the latest trends. 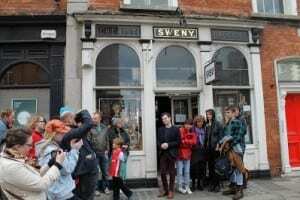 Described as the Best Tour in The Irish Times Best of Dublin special in May 2013. Explore the sights and sounds of Dublin on a 2.5-hour guided bike tour and ride past historic architecture, learning about the legends and contemporary life of the Irish capital. See Dublin Castle, the Guinness Brewery, St. Patrick’s Cathedral and more. If you’re looking for Fun and Active Things To Do In Dublin, Xtreme.ie is the perfect Place To Go. We operate a thrilling Outdoor Activity Centre catering for small groups and individual adventure days to large group bookings. We have a wide range of adrenaline fuelled Outdoor Activities for kids and adults which are perfect for a great Adventure Day Out. Outdoor Adventure Activities onsite include, High Ropes Aerial Trekking Courses, Zip Lines, Climbing Walls, Abseiling, Archery, Paintball, Off Road Buggies, Clay Pigeon Shooting, and more. 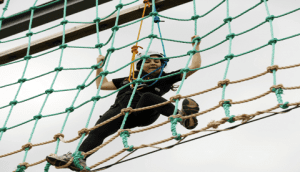 All our high ropes based activities are suitable for ages 7+. Shooting and Motor related activities are suitable for ages 16+. Located in Courtlough, Balbriggan North Country Dublin, the Adventure Centre is only 10 minutes from Dublin Airport (Exit 5 Off M1). 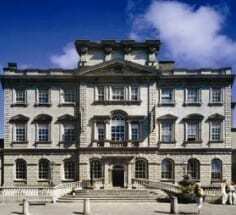 The year is 1774 and Richard Wingfield 3rd Viscount Powerscourt and his wife Amelia Wingfield have just moved into their beautiful townhouse at number 59 South William Street, Dublin. You will be guided through the magnificent rooms and with a little imagination you will conjure up images of life in the eighteenth century as preparation for a dinner and dance are under way! Once a Town House for Noble Families staying in Dublin, No 59 is now an imposing Centre of beautiful specialist shops and restaurants. Experience the ‘Grand Tour’ of this beautiful house and explore wonderful jewellers, fashion houses and much more. The Powerscourt Centre was in fashion in 1771 and still is.